I really enjoyed last week’s walk up Fair Brook and onto the Kinder plateau. Despite the mud (see walk summary here). It got me thinking about all the other routes I’d used to reach the huge, peaty summit of Kinder. I could think of at least five just off the top of my head and that got me wondering just how many established routes up there actually were. By established I mean a path on the ground, ideally showing up on the OS 1:25k scale map as a dotted black line, or a green Right of Way path. I decided it would be good to try and use them all, at some point, during 2014. 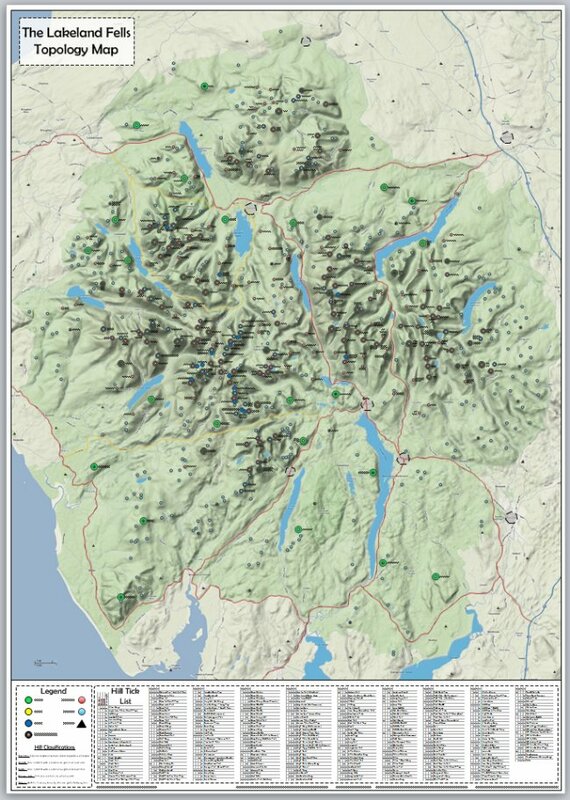 The first thing I did was to open up Memory Map and load in Explorer001, the Dark Peak 25k scale map. I worked anti-clockwise around the edge of Kinder, starting from the western most tip, near Mill Hill and marked off all the routes that I could see up to the edge. In theory the number of routes up is infinite, hence the qualification I mentioned earlier about using established tracks. I added a couple of obvious possible routes up that don’t have a track on the OS map, one of these is the route from Mermaid’s Pool (SK 075886) up the side of River Kinder, up the Downfall and onto the edge. There is no path here and it may not even be possible to ascend right beside the river without ropes and equipment, but I’ve been up the side of the valley there before and I’d like to revisit it, so it goes onto the list! All in all I found 16 routes up and I list them here for reference, with a handy Memory Map screenshot below them to identify them. I will revisit the routes I’ve used previously and try to get them all into the 2014 calendar year, which means doing one every three weeks or so. Picking a new route for the weekend can often be a frustrating and time consuming business. Sometimes the routes just pop into my head during the week, as I sit at my desk, trying to escape to the hills in the only way that’s possible in that environment, but other times they can be damned elusive and I can spend hours in the evenings looking for inspiration on various websites and chatting to people on Twitter. Having a set of destinations pre-defined at the beginning of the year will hopefully help me focus my attentions. The only downside to this approach is that my hill and trig point bagging activities this year will be somewhat restricted, but perhaps that’s not such a huge price to pay. I told myself a year or so ago that I will no longer be a “slave to the list“. 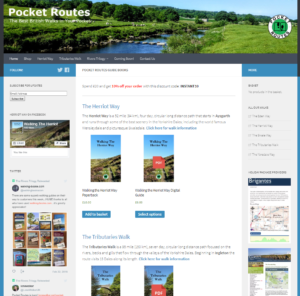 Lists can provide a focus to walking plans, helping you widen your scope of walking areas and covering new terrain, but sometimes the list takes over and actual enjoyment wanes. I’m hoping this project will contribute more than it removes. So the plan is to ascend via all these routes at some point this year. I will probably try and descend each of them as well, I do need to get down from the summit each time of course, so it makes sense to try and use a different route down, but the key goal is to use each route as the way up to the plateau. I will also make sure that I cover every section of the perimeter too – I’ve noticed a gap in my edge coverage during the research for this project, so that’s another goal to include. If you know of any other routes that you would classify as “established”, that I have not spotted then please feel free to add them to the list – just drop me a comment below. Next story "It’s Make Your Mind Up Time"
Previous story Goodbye Salomon, Hello Brasher! You don’t appear to have picked up the path up Kinderlow End, it’s a cracker, with steps, but made the BTCV way so they have nearly infinite pitch for each step. It starts about mid way between your no. 3 + 4, once up you ramble the “ridge” to the Trig point, which would appear to be right up your street. As usual, always good to catch up on your walking activities, got to admire your commitment to the whole process, if I’m looking for some advice on a particular issue I always look to your blog first for clear and concise info. Not that it all sinks in, hence this comment. Regarding Memory map and gps in particular im hoping you can give me some pointers. I’ve used Bing maps to plot some route ideas for my Lejog, but obviously I cant do much more on Bing than that.I do have MM app on my laptop but only the trial version with no bought os maps. I have played around with it a few times and have read your guide to MM. also saw your review for the phone app on google play. I’ve read a few reviews of MM which don’t fill me with confidence as to my understanding of it all.Unfortunately with technology I normally have a brain freeze and I just dont get it… sorry. I’m loathe to spend good money on os mapping when I don’t honestly think I will get my head around the software and will not get to grips with the benefits available.One of the main ones is altitude gain and loss, meaning a more realistic guesstimate for what I can achieve on any particular day, also being able to play around with the route to see how that changes the gain/loss. As well as Lejog by Shanks’s pony, in 2015 a friend and I are doing it on vintage moped’s ..30 mph and under. The one’s with pedals as well. B roads all the way as much as possible.You can imagine I’m sure, I am keen to avoid as many hills as possible for that one.Tell me, do you know of any options other than memory map i can use to solve this issue? I like your idea of the Bluemax data logger for recording walking data. Does it also track altitude loss and gain? Does it give you info on the computer in graph mode as well to see speed, distance altitude etc. Sorry for the long windedness of this , hope your still there lol. Well that’s 2 WHW’s done now and GGW as well. Doing whw yet again in April, for my sins, absolutely love it. Also doing the Cotswold Way in September as another leg of Lejog, the thinking being that if I do at least 2 weeks a year I’ll know the whole route by the time I retire and actually find time to get round to the whole thing in one go, fingers crossed anyway! Take care and happy wanderings. Colin, thanks for the interesting and thought provoking comment – I will try and answer as best I can. Apologies in advance for the huge post! Memory Map is only one of about 4 major digital mapping programs for the PC and one of an even larger number of smartphone apps that run on both iPhone and Android device. Unfortunately, very few programs have both a PC edition and a smartphone app – MM is one of a small number here – possibly only 2 or 3. So if you want access to what you’ve created on the PC, on your smartphone, in a fairly easy way (i.e. not constantly having to translate route and track files from PC to Phone) then MM or Anquet are probably your best bet. OS have just dropped their prices, so you can now get 1:25k scale chunks of the UK for much less then previously, in fact the whole of the UK is now between £200 and £300 depending on which program you go for. MM is the higher end there. I can’t speak for other apps in terms of functionality, so what I say here about MM may not be the same for Anquet or others. When you create routes on your PC MM will show you the height gain and height loss associated with that route, so as you draw your LEJOG route you will see what your daily ascent will be and you can adjust accordingly. Using the contour lines on the maps will help you avoid climbs or dropping into valleys and back out again, or you can use the 3D mode to visualise the landscape and then adjust your route accordingly – but you can’t edit the route while you’re in 3D mode, which is a shame. When you’re out and about and you record a track on your phone, or on a device like a Blumax and import that into MM when you get home, then you don’t get the ascent and descent values, unless you convert the track into a route. But I can generally live with that – I really need to know the height gain before I go out, not after I return. The recorded track (from the Blumax or phone) shows distance covered, time taken and calculates average speed. I know some other programs do much more with this information, such as calculate rest periods, time moving, average speed when moving, etc. but MM doesn’t do this. You can view the recorded track in a profile either height profile or average speed profile, not really a graph, but a representation of the walk, think of it as an area graph with speed/height up the left axis and distance along the bottom axis. Like so many things – digital mapping becomes second nature after you’ve used it for a while – the PC program for MM is ace and even though I’ve considered moving to another program (namely Anquet) I just don’t feel the need, even the low cost of the new OS maps isn’t draw enough. MM serves all my needs and I’m sure it would serve you in the same way, it’s just time you need to get used to its quirks. Sorry for the delay in responding. Thanks for your thoughts, I guess I will have to take the plunge at some point and try to get to grips with the software. Will have to sort it soon to plan for the moped challenge! Regarding your last post “It’s make your mind up time”, I’ve also found that although initially I set out on this walking lark to find solitude and to have the trail to myself, I’ve ended up enjoying the comradeship you find, especially on the long distance trails.West Highland Way this April on my own, but in the knowledge that I will make friends along the way again. Found the book! It lists 11 routes, time for a re-write I think! Any volunteers? Book is edited by Roly Smith, ISBN 0 903463 68 7. Derbyshire County Council, Libraries & Heritage Dept, Matlock, Derbyshire, DE4 3AG. It’s actually a little gem of a book, great history & pictures! Derbyshire County Council produced a book some years ago, “Kinder Scout, Portrait of a Mountain” which listed the number of routes up onto the plateau. I have a copy but am struggling to find it though! It is an excellent little publication and well worth a read if you can get a copy. 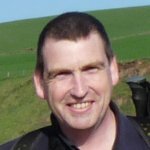 Thanks Mark – I did look at that clough when I was going round the edge, it looked like a prime candidate for a track up, but there’s no path shown on the OS map and I don’t know that area well at all. I’ll do some more research and add it! 🙂 I’m up to 20 now possibly! My favourite route up goes from the A624, from it’s junction with the Charlseworth Road, past the Liberator Wreckage near Mill Hill and then up Ashop Head. Hi, How about starting at Hollins Cross – Mam Tor – lords seat then past the air shaft -Horse hill Tor – brown knoll – Swines Back – kinder scout? That sounds like the “Edale Skyline” walk, which is a cracker and I’ve done it or variations on it a couple of times. Going that way would split the difference between the Oaken Clough route (#4) and the Jacob’s Ladder route (#5), thereby making another 🙂 My total is now 17 then!